IKEA. The mecca of affordable/make-your-own furniture and accessories. Love it! I made a special trip out to the Carson, CA store for a special D.I.Y. project I had in mind. We were looking for simple mirrored bedside tables to create more depth but didn't want to spend too much $. After reading a fun blog, IKEA Hacker, I was inspired to do my own hacking. 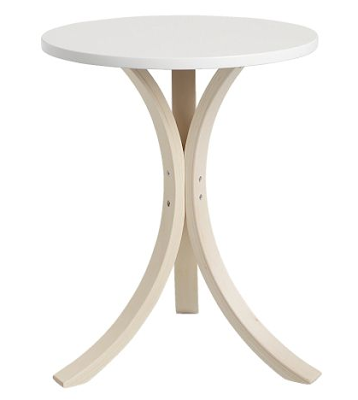 The FORNBRO table ($14) is probably one of the best deals in town! This awesome little table can be spiced up to be anything or any color you want. A little paint and a little imagination goes a long way. Or just keep it as is - nice and simple. I brought my newly purchased FORNBRO tables to a local mirror & glass shop and, 3 days later, I had custom-made mirrored side tables (just an additional $15/mirror). Love IKEA and love IKEA chic! 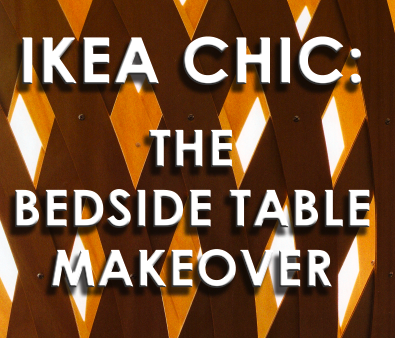 1 Response to "IKEA CHIC: The bedside table makeover"
What did you use to make that cool little layout picture of your apartment? Did you just make it in Photoshop, or did you use a home design program or something? It's cool!